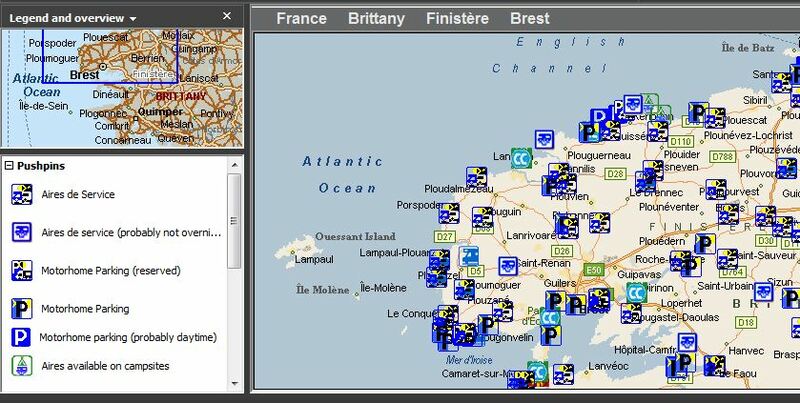 2012 GPS Database (Aires, Service, ACSI etc) available – Do your dream! After the popularity of my 2009, 2010 and 2011 databases – I have now created a new 2012 version with the latest available data. As always, I wish to reiterate I did not create any of the raw data. I have simply obtained the data from multiple sources, maniplated into a standard format, done a bit of Excel fiddling, and got it into formats that I (and I know others) find most useful. The formats are for MS Auto route 2010 and 2011. Please download the correct version as MS AR 2011 does NOT upgrade the 2010 data to 2011 correctly. I have also included TomTom and a RAW format that is .csv files that are all in a format suitable for Garmins (I believe). 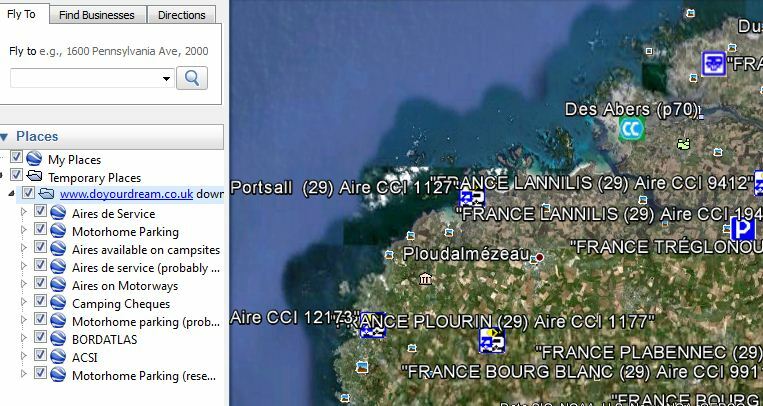 Also there is a Google Earth version, both a single database and individual files if you want them. You have so much information that this 69 year old guy gets head aches. Iv’e seen comments about Tommy having such large maps that it won’t even fit on the internal memory of 2Gb with no external slot for add on. Don’t understand if the GPS is plugged into the laptop USB and if so what does it do with the AutoRoute 2011 which we now have on our laptop. Thanks again this year. What would I do without you updating this site Diolch! !